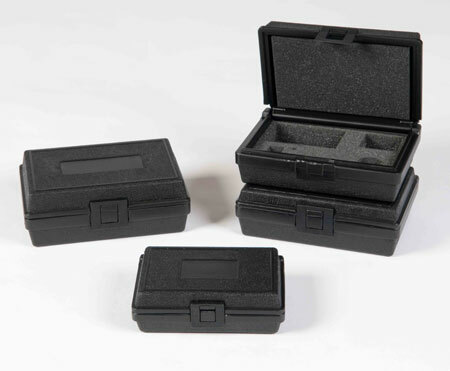 Our in-stock blow molding plastic carrying cases have several standard case sizes. Our case dimension list features standard blow molded cases in three sizes. The plastic cases are created with extrusion blow molding processes to provide a durable protective case. Plastic cases can be used for equipment, tools, guns, medical instruments, sockets, and more. The rigid outside protects the delicate equipment from outside the case. The foam padding keeps the equipment secure inside the case To find out more information and receive a quote for our in-stock plastic cases, contact us at 1-877-593-2182.